Man, I could go on and on with the quotes and descriptions, but I won't. This is an exceptionally cool Cthulhu piece sculpted by Artist Bryan Wynia. I've been working on it for a long time, and then some! This is the first piece I've completed, outside of work, all spring and summer, so to say I'm pleased to finally have it painted and photographed is an immense understatement. This was painted for a friend, and his only direction was for me to, " Make it Green". I loosely based some of the colors off of various paintings and digital renderings that I found interesting. 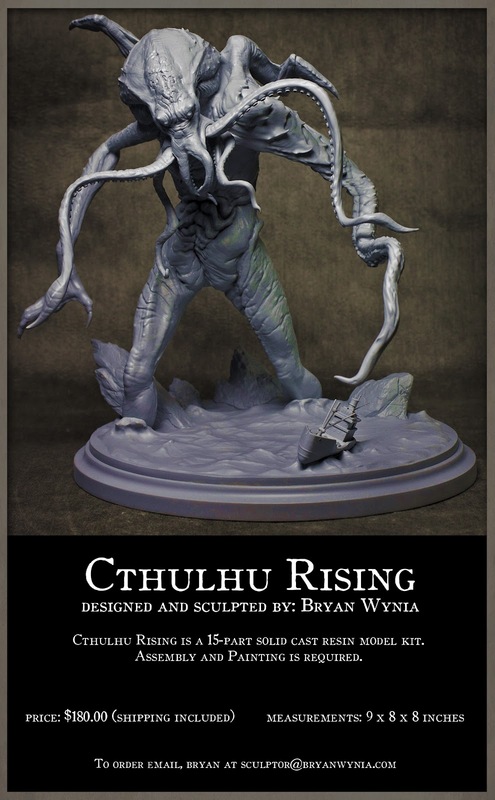 Here's a link to Bryan's Cthulhu Rising resin kit.